Amanda Howell offers a new perspective on the contemporary pop score as the means by which masculinities not seen—or heard—before become a part of post-World War II American cinema. Popular Film Music and Masculinity in Action addresses itself to an eclectic mix of film, from Elvis and Travolta star vehicles to Bruckheimer-produced blockbuster action, including the work of musically-innovative directors, Melvin Van Peebles, Martin Scorsese, Gregg Araki, and Quentin Tarantino. Of particular interest is the way these films and their representations of masculinity are shaped by generic exchanges among contemporary music, music cultures, and film, combining American cinema's long-standing investment in violence-as-spectacle with similarly body-focused pleasures of contemporary youth music. 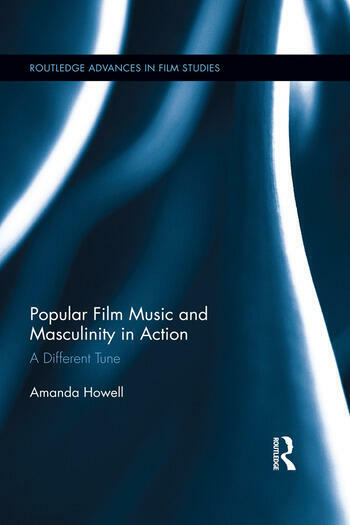 Drawing on scholarship of popular music and the pop score as well as feminist film and media studies, Howell addresses an often neglected area of gender representation by considering cinematic masculinity as an audio-visual construction. Through her analyses of music’s role in action and other film genres that share its investment in violence, she reveals the mechanisms by which the pop score has helped to reinvent gender—and gendered fictions of male empowerment—in contemporary screen entertainment. Amanda Howell is a Senior Lecturer in the School of Humanities at Griffith University, Australia.